This book is based on the premise that Germany won WWII and thank the heavens that it is fictional and they didn't win if this author's imagination is anywhere close to what would have been. Stella, who considers herself the perfect Aryan, has a lot to learn about her country and herself--even her own family. I am really afraid to say too much and give it all away. Let's just say that my mind keeps gravitating towards scenes in this book when it is not actively thinking about anything else. The ending has me craving more--I just have to know what comes next. Germany has defeated the Allies, won WWII in Europe and cleansed the territory of undesirables. Yet the war in the Far East still wages on. Welcome to the future of Germania. 16-year-old Stella Engel has lived her entire life in a sheltered, but comfortable middle class existence within the Reich where she has made lifelong friends and fostered her love of science. For most of her childhood, she has hoped to grow up to serve the Reich as a doctor. Her high achievements have earned her a place at the annual Eugenics Competition, where only the best and brightest students in science are invited to compete, securing their future in a high ranking medical school. However, her trip is marred when her best friend Pia, and Pia's entire family, suddenly go missing. After searching for her friend to no avail, something even stranger happens: the Eugenics Competition is interrupted by the mass arrest of all of the contestants. They are now under suspicion of carrying "dirty" genes, or the genes of those the Reich has convinced the public have long been eradicated. Stella's mother helps her manage to flee from the SS temporarily, where Stella learns that nothing in the Reich is as it seems; and that includes Stella herself. Anna Scanlon was born in Athens, Georgia and raised in the San Francisco Bay Area. She currently resides in Milton Keynes, United Kingdom (she has previously lived in New York City, Budapest, Grenoble and Amsterdam). She holds an MA in History from the University of Amsterdam and is pursuing a PhD in History from the University of Leicester. She lectures and teaches on the Holocaust and art and consults with schools and theater companies who are working on Holocaust related material. 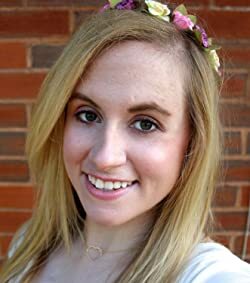 She has been writing since she was a little girl, keeping diaries whilst pretending she was Laura Ingalls Wilder and writing historical fiction novels about WWII and the Oregon Trail (obviously based on the video game series!). In the third grade, she wrote an "adaptation" of her favorite film "My Girl" for her class. Anna also runs the lifestyle blog Anna in Wonderland: http://www.annainwonderland.co.uk and runs a YouTube channel at http://www.youtube.com/TheAnnainWonderland. Wow, the premise of this book is a scary thought. It would have been a horror show if Germany had won the war. Imagine? Germany winning is definitely something I don't even want to think about. The would would be a scary place. I wouldn't want to think about this happening at all. It's such a scary thought. But you do have me wondering how the book ends and the twists and turns the story takes. What an interesting plot! I love a book that has me thinking about it long after I am finished reading. I will have to pick this one up! I would love this story line! I'm a fan of dystopian plots, and I really like the idea that this one is based (somewhat) on history. Looks like a great story! This would be an interesting read. Definitely is a story line I've never read about before. Sounds pretty interesting being that it had you thinking about it long after you read it. Thanks for sharing. This sounds really interesting! I love books that have some history in them. I'll be adding this to my reading list for sure. This book sounds intriguing. It is not the sort of of book I usually read, but my interest has been peaked! Interesting premise for a book. I love books that have me thinking about them after I read them. Wow. This sounds like a really interesting read. I am always interested in WWII books. I'm always looking for new book recommendations and this one looks interesting. I usually like love stories but your description sounds interesting. This sounds like an interesting read. Thanks for the review, I will add this to my list. I am always looking for that next interesting read! This sounds like such the book for me and will be checking it out more soon! This sounds like a very interesting book; exploring the "what if's" in history. Your excerpt has piqued my interest. 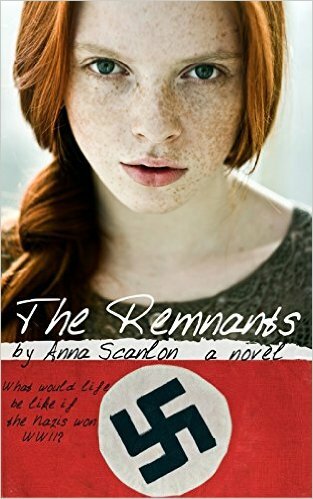 Remnants definitely sounds like an interesting book. Thank heavens this is just a "what if" story, though! This sounds like a very interesting book. I will have to tell my Dad about it. I love that you didn't giveaway the story but I can kind of see where that's going.